The former Cinder at 1500 Locust St. will become Blume. Out with the cider, and in with the cocktails and natural wine. 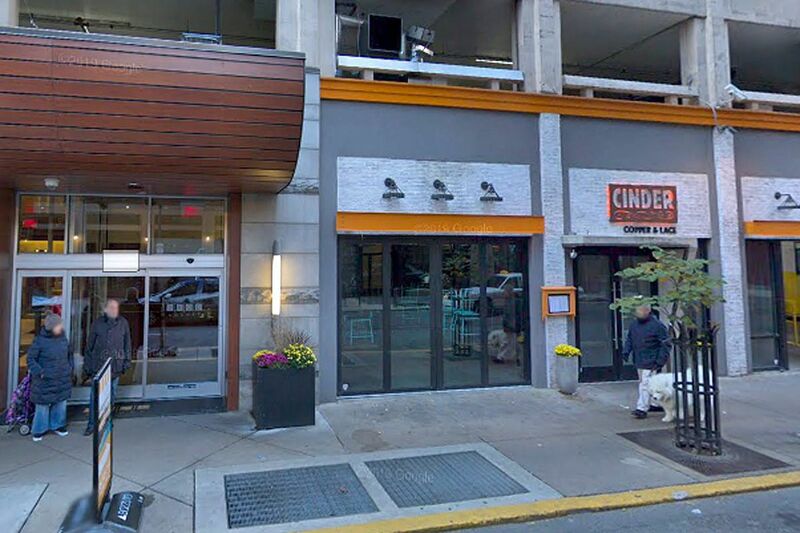 Teddy Sourias and Craft Concepts Group (BRU, U-Bahn, Tradesman’s, Kontrol, Uptown Beer Garden, Finn McCool’s Ale House, Tinsel Christmas Pop-Up Bar) are swapping out Cinder Copper & Lace, their two-year-old bar-restaurant at 1500 Locust St., in favor of a new spot called Blume. They say they’re going for “light, fun, casual and yet sophisticated,” with a focus on cocktails and natural wines. This is a departure for Craft, whose other establishments are built on beer and/or brown spirits. Blume is just west of Fado and across the street from Misconduct Tavern. Wood-fired pizzas and flatbreads, staples at Cinder, will be on Blume’s menu, which also will include street food and comfort food. Interior designer Anne White, who set up Tradesman’s and handled the most recent design for Tinsel, is revamping in bold colors including a greenscape hanging from the ceiling. Sound-proofing is being added. Craft also has other projects, including Verdickt (a bar beneath Tradesman’s, at Juniper and Chestnut Streets) and an expansion of Tinsel (12th and Sansom Streets), in the works. Restaurateur Teddy Sourias in the space that will become Blume at 1500 Locust St.